Casa De Luz is one of the best restaurants in Branson that serves tasty breakfast ala Mexicana. This Mexican-American family owned restaurant is beautifully located in historic downtown Branson. Casa De Luz is the only restaurant in Branson serving Mexican breakfast all day long. The restaurant not only specializes in Mexican cuisine but also American food. Come try the restaurant’s homemade food which is all made from scratch. Branson has several Mexican cuisine options so it’s hard to know which ones offer the best, but this dining spot assures every guest that a trip to Casa De Luz is time well spent. Casa De Luz is beautifully located between retail shops in downtown Branson on Commercial Street. The restaurant caters to visitors who enjoy traditional Mexican cuisine as well as tasty American dishes. This locally owned dining place is the only restaurant in Branson that offers Mexican breakfast that is served all day long. 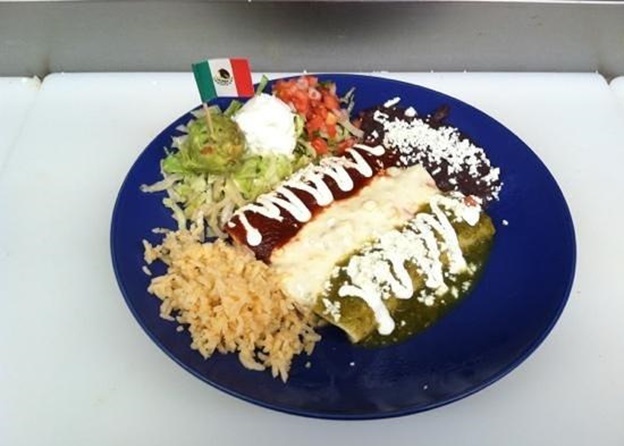 The restaurant offers a choice of delicious combination of food from a taco, an enchilada, a mini burrito and a mini chimichanga for just $10.99. This is served with rice, beans, pico de gallo, lettuce, guacamole, sour cream and cheese. The presentation of the food at Casa De Luz is appetizing and tastes delicious. The portion sizes are large and you will get unlimited home-made chips and salsa which is some of the favorite Mexican cuisines. The servers and staff of the restaurant are welcoming and friendly and the place offers a relaxing atmosphere. Once you are seated in this beautiful restaurant, you will be checked often by the server and will give you enough time and space to enjoy the meal without the feeling of urgency. When you try to dine in at Casa De Luz, you will get to know how different the Mexican food is from the usual. The breakfast served in the restaurant is always good and everyone will surely love the tortillas. Guests can have the chance to prepare their own breakfast burrito. For lunch you can have the Mexican assorted plate and the delicious taco that is actually a freshly made taco shell. Such a great restaurant in Branson that really serves authentic Mexican breakfast for a great price. Don’t miss to taste their delicious chilaquiles and the pancakes and so with their $3.99 Breakfast Special of two eggs, sausage, hash brown and toast. With several dining options within walking distance from this historic downtown Branson, Casa de Luz Restaurant is the best choice primarily because of its best tasting breakfast and home-made food that are all made from scratch. This simple and unpretentious restaurant deserves the patronage of the folks visiting Branson who simply want to enjoy superior food preparation with attention to detail and has a staff that sincerely appreciate guests and treat them as a family. So, if you are looking for a fine restaurant in Branson that serves tasty breakfast, visit Casa De Luz which specialize not only Mexican cuisine but also American food.